Polish author; born at Mariampol, government of Suwalki, May, 1831; died at Warsaw Sept. 30, 1896. 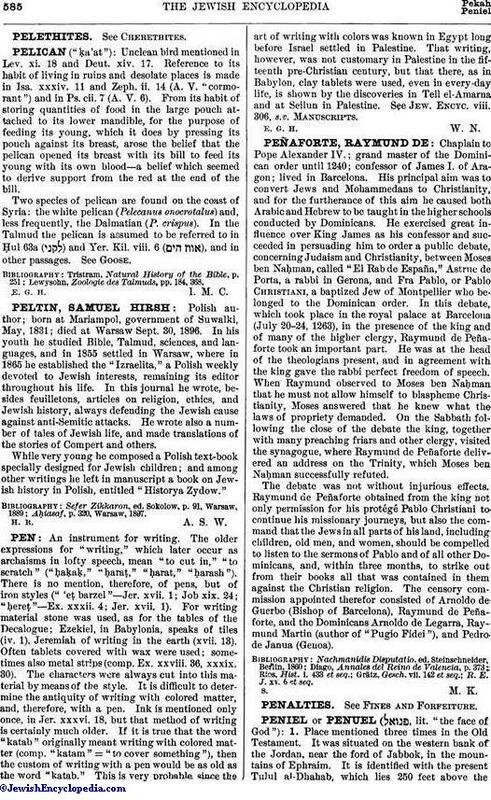 In his youth he studied Bible, Talmud, sciences, and languages, and in 1855 settled in Warsaw, where in 1865 he established the "Izraelita," a Polish weekly devoted to Jewish interests, remaining its editor throughout his life. In this journal he wrote, besides feuilletons, articles on religion, ethics, and Jewish history, always defending the Jewish cause against anti- Semitic attacks. He wrote also a number of tales of Jewish life, and made translations of the stories of Compert and others. While very young he composed a Polish text-book specially designed for Jewish children; and among other writings he left in manuscript a book on Jewish history in Polish, entitled "Historya Zydow." Aḥiasaf, p. 320, Warsaw, 1897.